Also called the energy field or electromagnetic field, the aura is the non-physical shell or layer of energy that surrounds and interpenetrates the physical body. The aura and the specific fields of various organs such as the heart have been scientifically measured. Chakras are energy centers, or portals in the field. Located along the central channel of the body from the base of the spine to the top of the head, they are conceived of as whirling, wheel-like vortexes through which universal/cosmic energy flows into and out of a person. 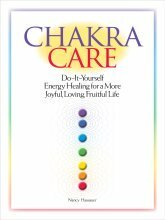 The word "chakra" comes to us from the Hindu wisdom tradition but similar concepts are found in many cultures. There are seven major chakras in the ayurvedic/yogic tradition, along with numerous minor chakras. Other traditions identify different numbers of these powerful energy centers. Subtle body is a general term referring to the layers or aspects of the field correlating to different planes or vibrations of existence. These include the emotional, mental, and spiritual layers or bodies. The physical body is often overlooked as part of the human energy field. But everything is energy, and that means that the physical body is energy, too. The physical body is denser than other parts of the energy system, but it's still an integral part of the energy field. The physical body is created and sustained by the more subtle aspects of the energy system, rather than the other way around, and disturbances in the energy field create imbalances and disturbances in the physical body. We can impact our physical bodies by working with more subtle aspects of our being, including both our energy and our thoughts. This entire site is about using energy to improve our well-being on all levels including the physical, so any page you go to will be about that topic. For an exercise on using the power of your mind to cultivate physical health, go here. While different individuals, cultures and energy healing traditions have conceived of or focused on different parts of the subtle anatomy, these are the basics that most people today agree on—a language that most energy healers share. 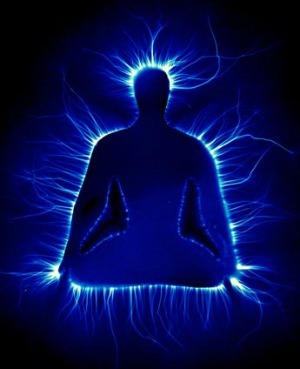 How Do You Experience The Human Energy Field? Are there other aspects of the energy anatomy that you experience? Share in the Facebook comments area below. Return from Human Energy Field to site home page.